PB and J. Kermit and Miss Piggy. Beards and flannel. 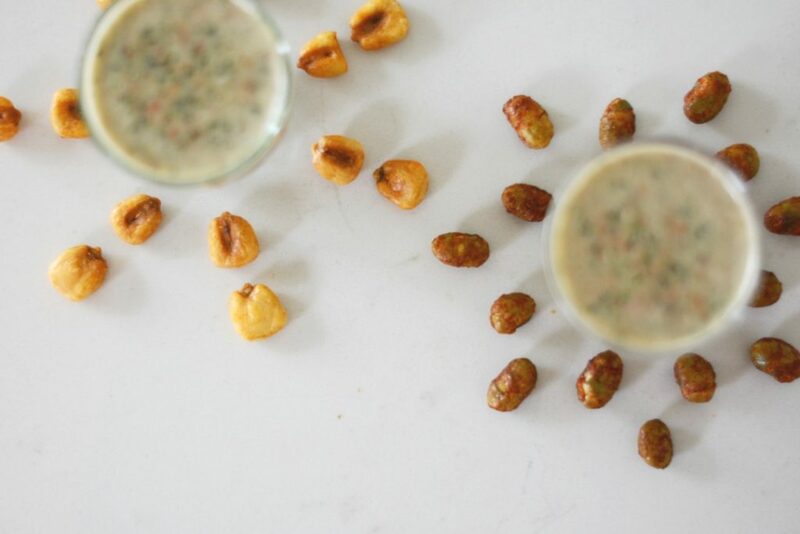 Some things are just meant to be together – and here at Naked Snacks, we LOVE to find the perfect pairings for our snacks. That’s why we teamed up with the guys at The Good Stuff in Vancouver to bring you the ultimate smoothie and snack combos. 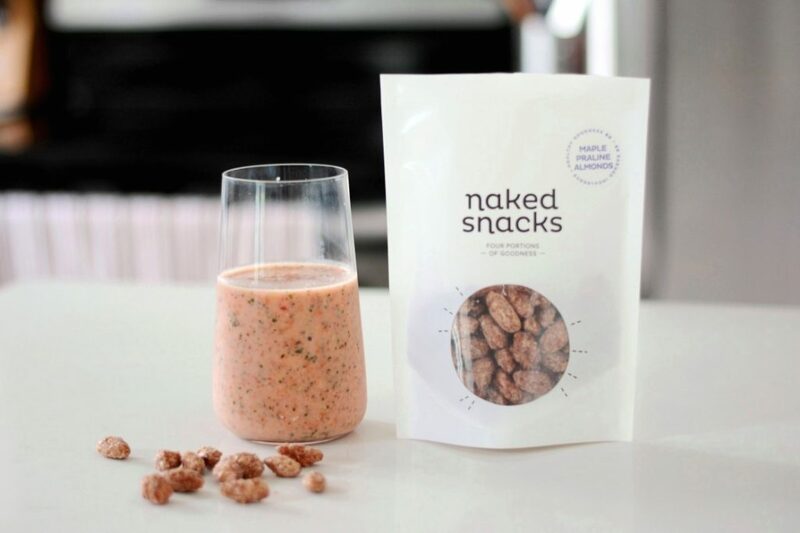 Just like Naked Snacks, they’re working hard to shake things up by creating unique and healthy eats to make your taste buds pop. Time to double down on deliciousness with these 6 snack and smoothie combos that will have you feeling full, energized and ready to take on the day. Wake up to golden sunshine any day of the week with this bright and fruity combo. Our organic dried mangos are 100% goodness (and 0% sweetener or preservatives), packing a quarter of your daily Vitamin A! Pair them with the tropical flavours of bananas and pineapple in the Good Morning smoothie (plus matcha for an energy boost) and you’ll be rising and shining in no time. Bonus: they’re both vegan, baby. Great for your body and taste buds, this sweet and savoury combo will transport your mind to faraway lands. 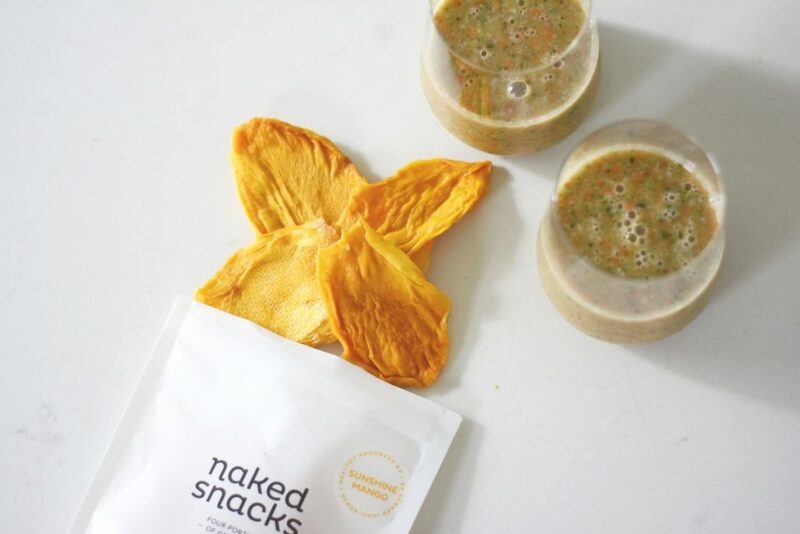 Ginger, turmeric and orange in the Wise Ninja smoothie pack a bold flavour-punch and complement the sweet, iron-filled dates in Temple Stay (one of our new snacks!). Take the crunchy black beans into account and your joint, cardio and digestive health is covered with this combo. Welcome to nutrition nirvana! All about the taste sensation? This lively combo brings together the earthy warmth of nutmeg and maple syrup with the friendly heat of sriracha. 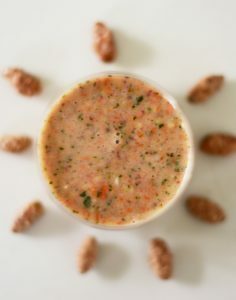 Greens, turmeric and brazil nuts in the Kitsilano Sunrise smoothie ensure your body is getting the antioxidants it needs, while the crunchy edamame and corn nut action in the new Sweet Sriracha Crunch keeps calories low and your protein, iron and calcium high. Like two cool kids in school, these fan favourites were made for each other. Strawberries and bananas turn the Madagascar smoothie into a guilt-free daiquiri, hold the buzz. Chase it down with a handful of sweet, crunchy Maple Praline bliss and your day is made. Don’t think it’s all taste and no substance though – almonds help build and maintain strong bones. You can’t go wrong with the classics. Looking for a high protein snack that tastes great too? All the fruit and veg in the Diesel Monster smoothie helps your body stock up on vitamins and the plant-based protein aids in repairing muscles. Add a little PB Chocolate Granola-love and you’ve got the perfect post-workout smoothie bowl. The delicious dark chocolate is full of Vitamin E to help lower your blood pressure. Function and taste, in one creative combo. Whether running sprints or crunching numbers, this nutritionally balanced power couple will help you perform at your best. 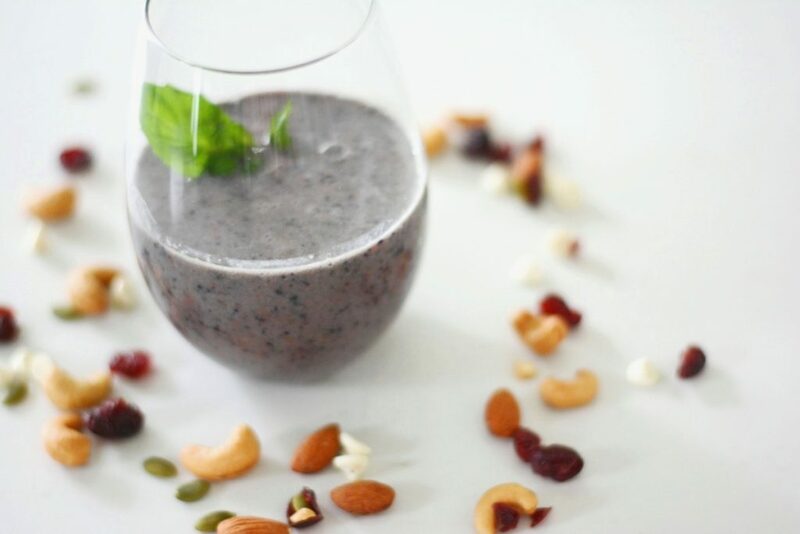 Munch on a wholesome handful of raw almonds, cashews, cranberries and pumpkin seeds in Wholesome Yogi – one of our most nutritionally dense snacks – then wash it all down with the veggie goodness of spinach and Vega protein in the Thunderbird smoothie. Find your own fave pairings! 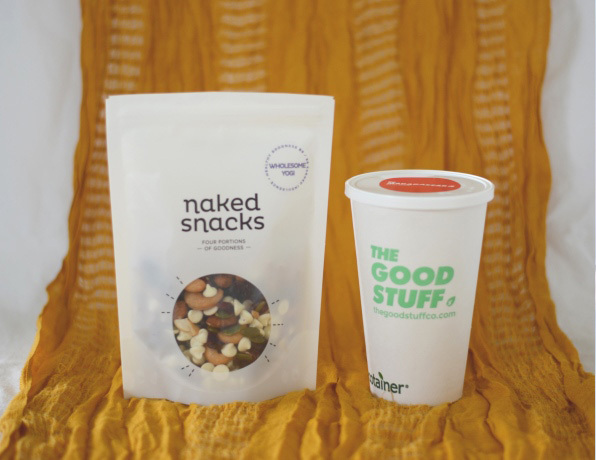 We’re giving away a combo prize pack from Naked Snacks and the friendly guys at The Good Stuff* including a box of 10 delicious, wholesome snacks and 6 ready-to-blend smoothies. Drop us your email to enter! Hanging out in Vancity? Pop by The Good Stuff shop in Kitsilano at 4515 W 10th. *The giveaway is open to all residents of Canada, but smoothies can only be delivered within the Greater Vancouver area.